A discussion of the 2019 GMC Sierra 1500 that debuted Thursday in Detroit needs to start at the rear and make its way forward. The 2019 Sierra will be available with a tailgate that's as versatile as a standing desk and a bed made of carbon fiber, rather than steel. 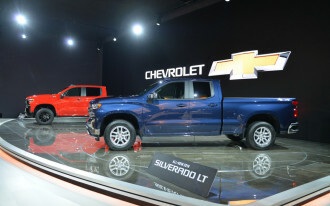 Those two innovations alone set the Sierra apart from its sibling, the recently unveiled 2019 Chevrolet Silverado 1500, when it hits dealer lots later this year. 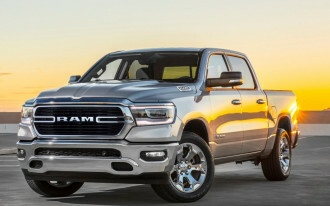 The two trucks look more different than ever, even if they share a frame, suspensions, and underhood options that include a pair of V-8s and a new inline-6 turbodiesel. The 2019 Sierra sticks with styling that's more conservative than the new Silverado. Up front, the truck's big chrome grille tapers inward toward the bottom and is flanked by LED headlights that dig into the fenders. Unpainted plastic fender flairs add a dash of utility to what's otherwise a conventional side profile. 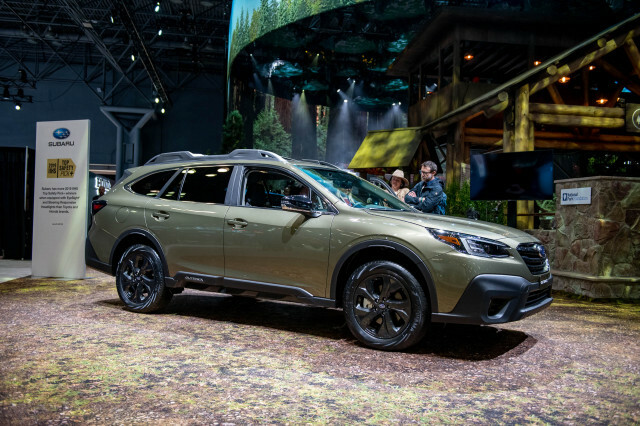 Both Sierra SLT and Denali trim levels will be available with 22-inch alloy wheels. 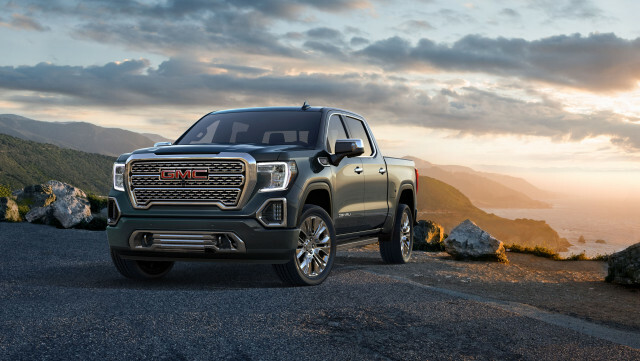 GMC has yet to detail trim levels other than the SLT and Denali, which have traditionally been at the top of the Sierra's hierarchy. From the rear, the bed looks conventional, but doesn't hold up to close scrutiny. Sierra SLT and Denali trim levels will come standard with a a two-piece tailgate that GMC calls MultiPro. It can operate like a standard tailgate that drops for cargo loading, or users can rotate only the top portion to create a standing height workstation. When the tailgate is down, the top portion can be rotated to form a step capable of holding 375 pounds for easier cargo loading. Additionally, GMC says that Sierra Denali trims will be available with a carbon fiber bed that the automaker says is highly dent-resistant and won't rust. 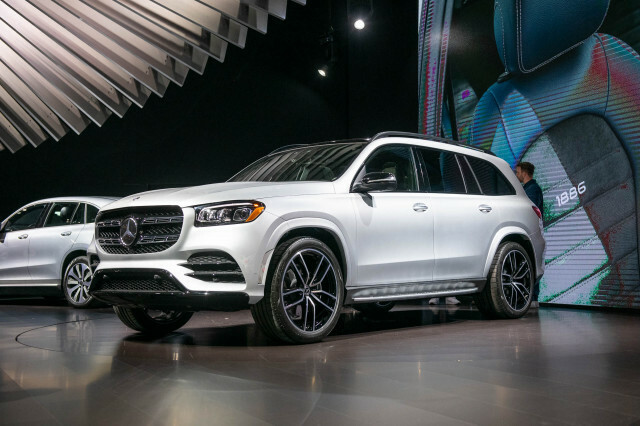 The carbon fiber box also saves 62 pounds over the steel unit that's standard, while weight-savings efforts that substitute aluminum for steel in the truck's doors, hood, and tailgate help shed a further 360 pounds. The Silverado won't be available with the MultiPro tailgate and the carbon fiber bed, at least initially, which helps widen the gap between GM's two full-size trucks. 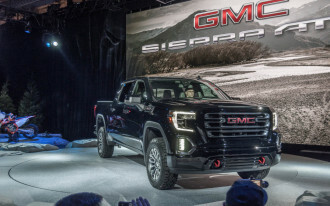 Under its hood, the Sierra will debut with a choice of V-8 gas engines—updated versions of the automaker's 5.3-liter and 6.2-liter V-8s paired to 10-speed automatic transmissions. 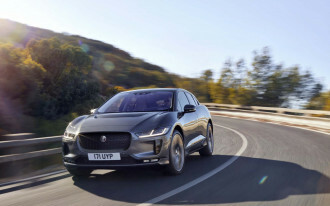 Those two V-8s will feature a stop/start system and a system that can shut down all but one of the eight cylinders to reduce fuel consumption. 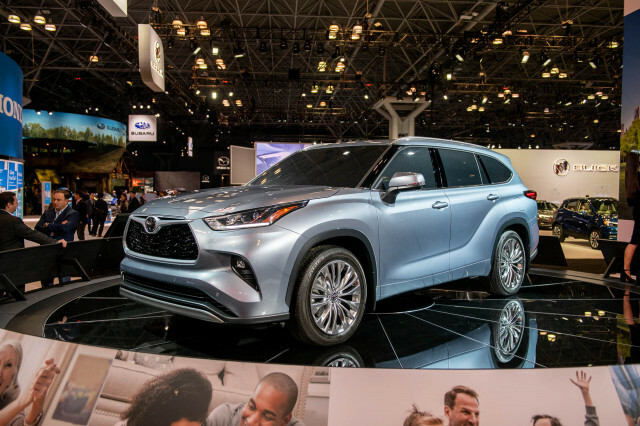 The new system, dubbed Dynamic Fuel Management, builds on parent company GM's cylinder displacement system that previous allowed the trucks to run on either four or eight cylinders. A 3.0-liter turbodiesel inline-6 will be on offer later. For now, GMC is holding back power output and fuel economy ratings. Sierra Denali trucks will feature adaptive dampers for its suspension. Inside, the Sierra's interior shares its design with the Silverado, albeit with some trim changes and an exclusive head-up display. A vertical panel holds most controls for audio and climate controls. On the range-topping Sierra Denali, an 8.0-inch touchscreen for infotainment is standard. Sierra Denali trucks will also feature leather upholstery, open-pore real wood trim, dark-finish aluminum trim. Like the Silverado, the Sierra promises more interior room. Crew cab versions boast three inches of additional rear-seat legroom compared to the outgoing Sierra. Built into the rear seatbacks are fold-down pockets large enough to allow owners to tuck a tablet or laptop computer out of view. 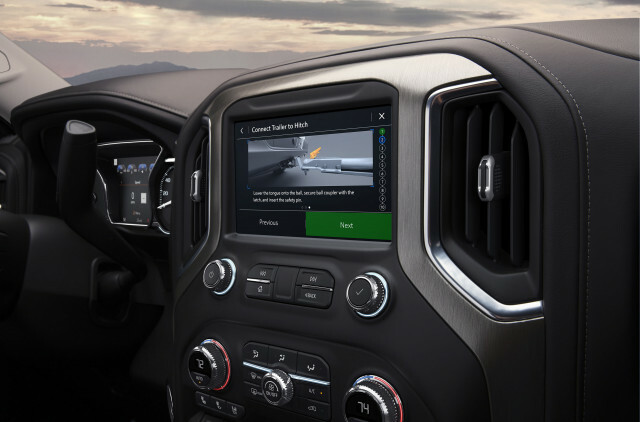 The in-dash screen can display a new app designed to make hooking up a trailer a cinch. 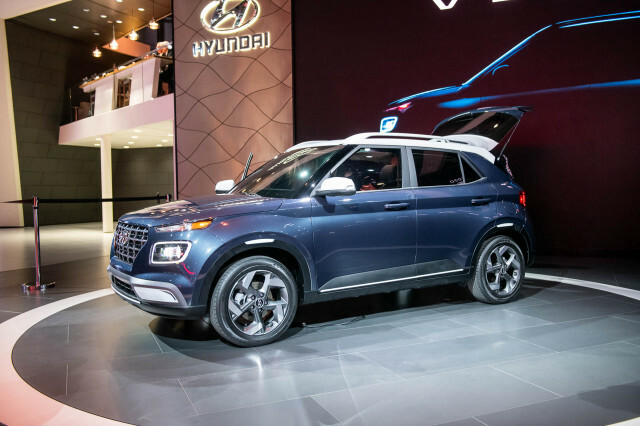 The app, standard on SLT and Denali trim levels, provides a trailering checklist and can handle certain diagnostic functions like checking brake lights and tire pressures for whatever's hooked up out back.